We all know the importance of a good night’s sleep, but how much and what kind of sleep should you be aiming for? It should come as no surprise to hear that, in order to optimise your sleep health in the most effective way, you need to strike the right balance between how well and how long you sleep. We’re all familiar with the widespread advice that we should be getting eight hours of sleep a night as best practice for a well-rested, healthy body and mind. This is certainly a good starting point, but the science of sleep goes deeper. More and more professionals are considering our sleep quality to be of equal importance – if not more important – then the amount of time we actually spend sleeping. Sleep quality may be the best indicator of our overall health, mood and satisfaction. When it comes to both quantity and quality, most UK adults are failing to hit the recommended guidelines. The average person in the UK sleeps for between 5.78 and 6.83 hours a night, averaging out at 379.4 minutes. This means that many of us miss out on the recommended amount of sleep by at least 100.6 minutes. So what can you do to improve your sleep habits and ensure you’re getting enough high-quality sleep? Improving your sleep quantity is easier than improving your sleep quality, but working to improve one can help to better the other. So, the best way to start improving your sleep overall is to set yourself a schedule to stick to. Going to sleep and waking up at around the same time every day helps your body prepare for sleep, and ensures you’re getting enough rest. You can even extend your schedule slowly over time to make sure you’re getting the hours you need. Of course, time spent in bed doesn’t always equate to time spent sleeping. Experts suggest that you shouldn’t go to bed until you feel tired, and establishing a firm routine will help you feel tired at a reasonable time. The use of electronic devices in the bedroom alongside other harmful habits, such as a late night caffeine hit, can lead to restless sleep which, no matter how long to spend in bed, can leave you feeling lethargic come morning. Increasing your sleep quality doesn’t need to be a huge challenge. Alongside establishing a firm routine to improve your quantity, you can introduce some simple best practices to give yourself the best chance of a good night’s sleep. These can include avoiding caffeine, alcohol and bright screens too close to bedtime. 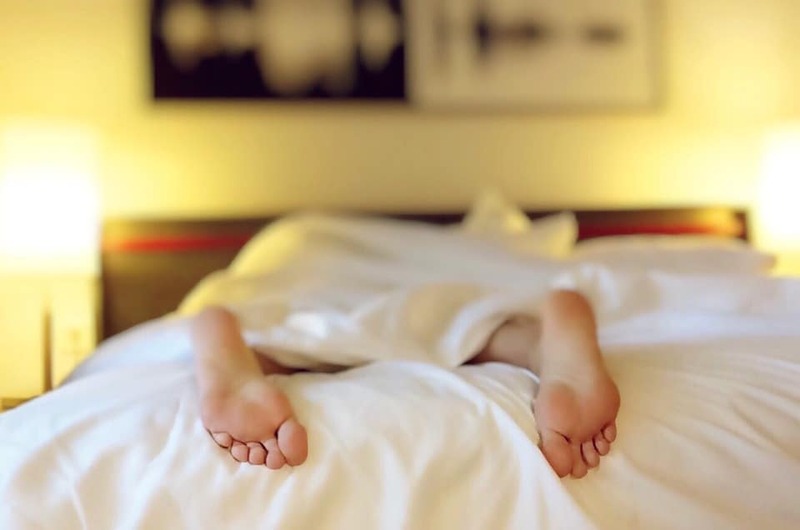 It can also involve creating a relaxing routine to carry out in the hour before you go to sleep, which might mean reading a book, meditating or taking a warm bath – whatever helps you feel relaxed as you crawl beneath the sheets. By introducing these healthy habits into your sleep routine, you’ll find that you can improve your sleep quality in the long run. Enjoying higher quality sleep with fewer disruptions can also improve your sleep quantity as well, and will help you wake up in the morning feeling more energized and ready for the day ahead. A good night’s sleep starts with the right mattress. At the core of every Mammoth mattress is Medical Grade Foam™ and PostureCell® technologies designed to improve sleep and ease aches and pains. Click here to find your nearest retailer and test drive a Mammoth today. This entry was posted in All Articles, Expert Advice, Sleep Science and tagged best way to sleep, how to improve sleep health, how to improve sleep quality, how to sleep well, quality versus quantity, sleep health, sleep quality, sleep quantity, sleep routine, ways to improve sleep.